Accidents happen and at dhealth Dentistry we are committed to helping you ensure little dental accidents don’t grow into big problems. Through trauma, bad luck or lack of care we can cause damage to our teeth and need treatment right away. If you forget to wear your mouth guard during a game of football and your front tooth gets knocked out then you are going to need treatment as soon as possible. If your brand new crown dislodges or you lose a filling, the quicker you get these problems attended to the better. 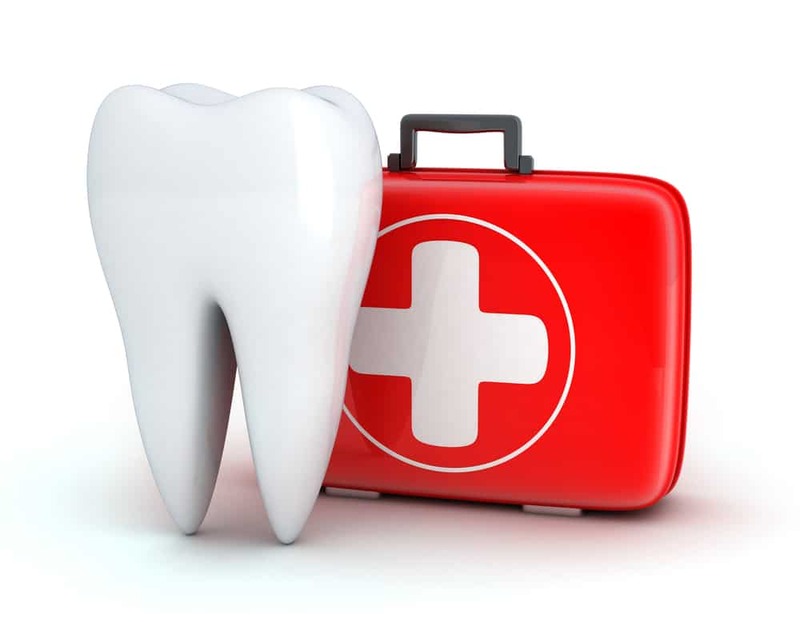 Emergency dental is never a case of life and death but that hasn’t stopped us from setting up a dedicated service to providing out of hours dental assistance or from finding space for you in our bookings when you need it. dhealth Dentistry is open from 8.00am to 5.00pm Monday to Thursday. We are currently closed on the weekends, however if you have a dental emergency outside our normal business hours, please don’t hesitate to contact us and leave a message on our answering machine. We have a team that attends to these messages—even on weekends. We will endeavour to return your call and arrange a time to see you as soon as possible. Chipped, Cracked and Missing Teeth: This are very common dental emergencies. We refer to these problems as an emergency because the sooner you receive treatment the better your chances are of regaining the full function of the affected tooth. Unexplained Toothaches: Incredibly painful toothaches can occur out of nowhere and they can be debilitating. If you suffer from the onset of a chronic toothache it isn’t a good idea to take some pain medication and wait for it to go away. There is always an underlying reason for a toothache and the longer you leave it the worse the problem will get. Loss of Fillings or Crowns: There’s nothing worse than taking a bite of something and knowing straight away that your filling has become dislodged or your crown has fallen out. Crowns do not fall out easily. The reasons can be due to damage occurring underneath so if they fall out you will need the situation to be rectified right away. Fillings are used to protect teeth that have been damaged by decay. If you don’t get a dislodged filling replaced as soon as possible you risk having decay seep into your root canal, causing your teeth further damage. These are just an example of the types of emergency dental services we can provide. If you’re worried about the health of your teeth, then we will do everything we can to assist you. We provide all of these services in a relaxed environment and we have numerous techniques to assist you.